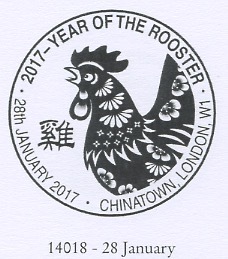 Ever since the Lunar Year of the Rooster Generic Sheet was announced, and illustrated here, people have been asking where the special postmark is that would normally accompany it. 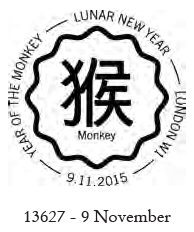 For the Monkey, the handstamp was on 9 November 2015, and for the sheep on 19 November 2014. But there was none last November for the Rooster, nor in December. 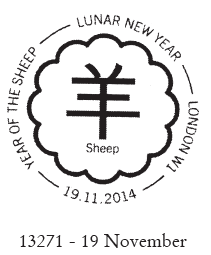 But we now know that the special postmark - usually used in conjunction with the Royal Mail Coin Cover - will be available on 28 January 2017.
when will we actually see another postmark bulletin Ian? Windsor Castle at Sixes and Sevens.